A food-lover’s dream come true! I recently discovered Foodspotting.com. It is probably one of the coolest special interest networks I have ever heard of. If you have a particular affinity for food and enjoy selecting your food by visually seeing it, you will fall in love with Foodspotting.com. Members of this network can take pictures of food wherever they are and share it with the community. It allows others to view actual pictures of meals that might interest them and it includes the restaurant where it is located. You no longer have to decide where you want to eat based on restaurant choices. Now you can choose by dish. Community members can follow one another and view things that they “want”, “tried”, and “love”. You can follow brands and people who are already members or invite friends from Facebook, Twitter or you cell phone contact list. The app allows you to create an account or sign in with Facebook, thus linking your account and making it easier to share. 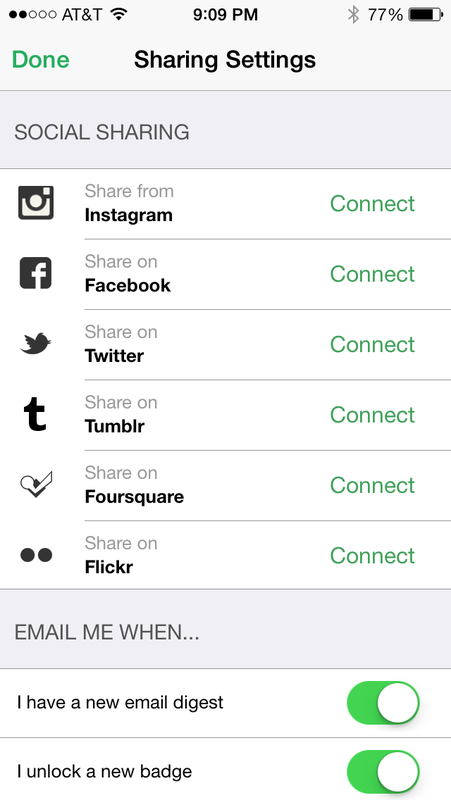 The app also allows you to share from Instagram and share on Twitter, Tumblr, Foursquare, and Flickr. 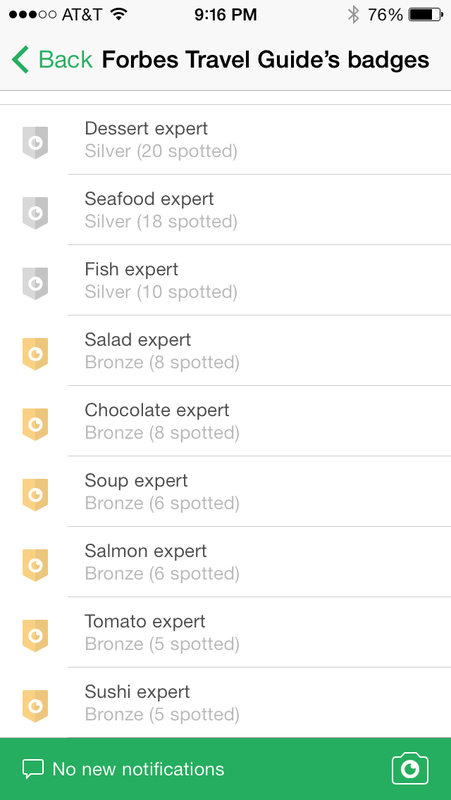 You can earn “expert” badges by collecting reputation points for spotting at least five dishes in a particular category and posting them on the network. Since I just joined today, I have zero reputation points. Forbes Travel Guide has 51,660 reputation points. If you view their profile, you will see all of the dishes they’ve posted. People can comment on the pictures with a custom message or simply click a button for “Great shot” or “Great find”. This network stands out from other major networks like Facebook, Twitter, etc because it is ALL about food and offers unbelievable benefits to members. Members have real life images of dishes shared by other member in any given area. It is so successful because it allows for easy sharing on all of the major social media platforms. It even has a way to connect with the proximity marketing channel, Foursquare. By utilizing proximity marketing, it could push images to potential customers who come into range of the restaurants. What’s more powerful than a coupon? An image of a delicious meal sent straight to your phone to entice you when you are hungry and about to walk into a competitor’s restaurant. I think this is going to be a network to watch. It has incredible potential. Many special interest networks share this quality, in that they can be hugely successful because they are specialized by nature. The key to the success is ease of sharing with others and utilizing the power of the other major, well-known social media channels. These special interest networks “enable users to focus and organize aroundtheir interests first, whereas Facebook focuses on a user’s personalrelationships.” As explain in an All Things D article I read, some of these interest-based (vertically focused) social networks might eventually face challenges in continued growth and “the question will be when and whether those services need to scale into other areas. Will Foodspotting expand to offer Winespotting?” It’s a valid question but I don’t think expansion into a spin-off of sorts is necessarily a bad thing. If loyal members have followed long enough, they would probably be very receptive to joining another network offering similar value. This could in turn translate into more advertising dollars and opportunities for brands to further engage. Great post and thanks for the video! It helps show us how great this platform is!